360 Vision Technology has announced that Adrian Kirk has been promoted from National Sales Manager to Director of Strategic Accounts, at the leading UK surveillance camera design and manufacturing company. 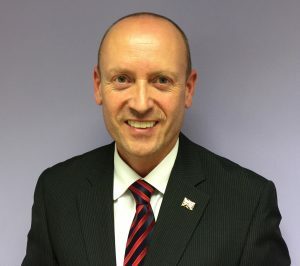 In his new role, Adrian will be responsible for helping the Cheshire based manufacturer to achieve its planned growth strategy, as the company continues to lead innovation in surveillance camera solutions. Commenting on his appointment, Adrian said: “The last five years at 360 Vision Technology have been superb. We’ve seen our manufacturing business go from strength to strength in a market dominated by Far East companies. In an industry where it often seems to be a race to the bottom on price, we’ve forged strong relationships with our customers, and our high-quality British made products have proven to be a key differentiator – and we have thrived in this price driven arena. “In my new role, I’m looking forward to working closely with the National Sales team, made up of leading industry people, to further promote 360 vision’s full range of British made CCTV and IP Cameras.